The Best Glock Night Sights – Glock 19 and more! Though not pleasant to think about, there might be instances where you are needed to use your Glock in night settings. Of course, standard sights are not going to be effective in these settings and the need for night sights comes into play. If you are one of the thousands who rely on the 9mm for protection, Glock night sights should be seriously considered. 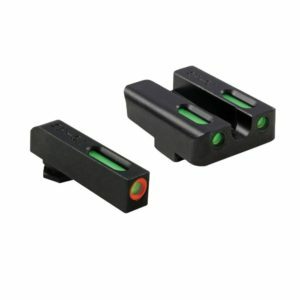 When we say night sights, we are not talking about night vision application, but simply sights that provide an illumination that makes centering on your target easier. 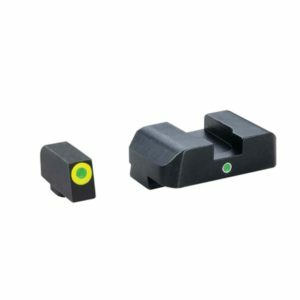 Night sights are also great for daytime application and only increase your ability to quickly zero in through the sights and center on your target. In this article, we will take a look at the components and characteristics that are commonly found in the best Glock sights, specifically night sights. We will also take a look at four Glock night sights that we feel can easily be crowned as the best Glock sights and we will review and discuss our reasoning. Illumination: Illumination for night sights can be provided by tritium lamps or by fiber optics. For night sights, we are firm believers in tritium lamps. While fiber optic lamps are extremely bright, they need a light source to charge them. Tritium lamps are going to be able to provide illumination in total darkness, though they will be brighter if exposed to direct light throughout the day. One of the best situations you can have is the use of fiber optics and tritium lamps, and we have a product in mind that we will discuss that uses this type of set up. Rear Site Notch: On your rear sight, there is an opening that allows you to line up with the front sight. Depending on the night sight, this opening can be of several designs. What it will come down to is what you feel the most comfortable with, and the best way to do this is to handle and shoot with as many different versions as possible. In general, there are two main types of cuts, a square, and U-shaped notch. Some like one over the other, but we think what matters is the width of the aperture. It should be wide enough so that you have no issue finding your front sight immediately when raising your weapon. Dot Alignment: Most Glock night sights you will come across use a three-dot design, meaning it has three tritium lamps or fiber optic rods. The three-dot design uses a single dot on the front sight and when mounted properly will align between the two dots on the rear sight position on either side of the notch. This design is by far the most common type of dot alignment pattern on Glock night sights. A second design that is gaining in popularity is the two dot design. With this design, a lamp is on the front sight and a single lamp on the rear sight located beneath the notch opening. For many, this is a much more efficient aiming method, especially when you are several rounds in a short time frame. Again, it’s really what you like best and are most comfortable with. You’ll find arguments for both styles, but you have the final say in the matter when it comes to your handgun. Other Components: There are a few other qualities you should think about when looking for night sights. Profile: Just because a sight says that it is compatible with your Glock 19 doesn’t necessarily mean that it is the right fit. You want sights that are going to mount easily and have a profile that will not snag when drawing and holstering your Glock. Following the criteria outlined above, the following section will provide a selection of the best Glock night sights that are certainly worth their money. Not only is this Glock sight great for low light/no light conditions that are overall great iron sights that you should consider replacing your stock iron sights with. The rear and front sights both use a green tritium lamp that gives off incredible luminescence, especially when left in direct sunlight for several hours. Even when holstered or stored away from direct sunlight, you can still line these sights up efficiently in the dark. The front sight tritium lamp is surrounded by a yellow contrast circle that brings your line of sight right to it in daylight conditions. This night set uses a unique dot system that is not used in many other night sights. Instead of the traditional three-dot design, the Ameriglo Pro-IDOT uses a two-dot lamp system. While it all comes down to personal preference, the idea behind this design is that in low to no light conditions, the two dot alignment lets you line up a shot much quicker. We are impressed with the target acquisition speed when using this Glock 19 sight. The two dot system, as well as the wide back notch, allows you to line up quick. Maybe the biggest issue you will have with this steel night sight is that is can be a pain to install if you don’t have previous experience doing so. This is a concern because if you don’t install is properly your going to end up with a sight that is off and you can see where the problem with this is. This aluminum polymer night sight for Glock 19 handguns is one of the best Glock sights available on the market. 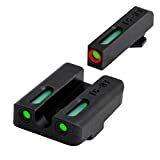 One of the biggest issues most people have with Glock 19 night sights is that they can be difficult to install properly, and those who have personally felt this frustration will be extremely pleased with Trijicon’s HD Tritium night sights. They are extremely easy to install. This night sight is the common three-dot design with a single front dot and two rear dates on either side of the rear sight notch. All three dots are created from green tritium lamps that The rear notch features a large U-shape cut that makes front sight acquisition much simpler and gives enough room so that lining up the three dots in low to no light conditions feels much smoother and natural. The rear site is machined with specific angles and serrations to help reduce glare which helps in daytime aiming situations. The front sight tritium lamp is surrounded with an orange contrast ring that is great in normal and low light conditions. One of the biggest issues we have with this sight is the rear edge has some sharp edges, that might overhang a little depending on the generation of your Glock 19 and will cause some issues holstering. These sights were designed by Glock, so they are going to fit your Glock 19 perfectly and make excellent replacements for your stock sights. 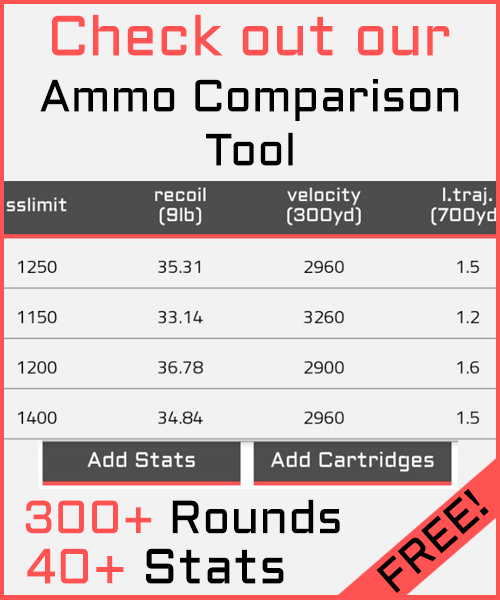 The metal design is extremely rugged and will last throughout the lifetime of your firearm. These sights use a three-dot aiming system, two rear and one front lamp, and all feature a contrasting white ring. We like the crisp white rings, and they help you line up shots during daylight and low light conditions. The green tritium lamps do not seem as bright as other tritium sights in this article, and they require a little more time in sunlight to give off a brighter luminescence. The rear notch is more than enough in our eyes for quick shot alignment, but it is not as wide as other sights on our list and is something you will want to take a close look at before mounting on your Glock. When these sights are aligned properly, these are one of the best sights for Glock handguns, specifically the Glock 19. The target acquisition is phenomenal, and you are naturally drawn down the sight towards your target. This Glock 19 Gen 4 night sight is highly durable and is anodized for extra resistance to scratching and dinging. This model is one of the best Glock night sights that is currently available on the market. The front and rear sight are designed to be snag-free and can be drawn and holstered smoothly and with confidence. This is an interesting Glock night sight in that it utilizes both green fiber optics and tritium lamps in the front sight and two fiber optic/tritium lamps in the rear sight giving you the classic three-dot pattern. The tritium inserts along with fiber optic rods give you the best of both worlds. You get the high brightness of fiber optics during the day, and the constant luminesce of tritium at night. The front sight of the TFX is slightly raised to give you quicker and easier target acquisition, and the lamp is surrounded by orange contrast ring. Some shooters might have an issue with this setup in daylight shooting as it tends to be almost overwhelming. Too much of a good thing sometimes ends up going the other way. We love the rear U-notch and feel that it accelerates dot alignment and increases target acquisition. This design helps funnel your vision down towards the front sight. Because of this, it is critical that you have proper alignment of the front and rear sight and luckily, this sight is extremely easy to install on your own. Taking only one of the four Glock 19 night sights and labeling it as the best was a horribly difficult decision to make. With that in mind, we gave the edge to the TruGlo-TFX Tritium Fiber Optic Sight. As this was the last product we reviewed, it should still be fresh on your mind, but we will quickly recap our reasoning for this choice. The use of both fiber optic rods that provide superior illumination during daytime hours as well as tritium lamps that power those rods at night gives your Glock 19 the ability to be aimed in any situation. This sight increases your target acquisition with the U-shaped notch that draws your sight directly down to the front sight and beyond. This sight uses a snag free profile and is anodized for increased durability and is extremely easy to mount onto your Glock. Overall, this is one of the best Glock 19 night sights that we have come across, and we think that if you go with it, you will be hard pressed to find something better. We hope that this Glock night sights review has provided you with a better understanding of the characteristics and qualities you should focus in on when searching for the best sights for Glock handguns, especially those with night sight applications. We also hope our four choices for the best night sights for Glock 19 handguns are choices that you seriously consider as they are proven to serve night shooting applications. Whether your job or lifestyle requires you to be out at night or you need a sight that will better serve you to protect your household, night sights on your Glock will dramatically improve not only your weapons performance but your confidence in those situations as well.